C. James Luther died on Jan. 26 at Beaumont senior living facility in Bryn Mawr, Pa. He was 90. He was born in Detroit, Mich., in October 1928 to James H. Luther 2nd and Fannie Catherine Luther. Jim grew up in Olean, N.Y., where he attended Olean High School and later graduated from Cranbrook Boarding School in Michigan in 1946. After high school he attended Cornell University where he was manger of the crew team, member of Chi Psi Fraternity, Senior Honor Society and the Sphinx Head Society. He graduated in 1950 with a degree in economics. In 1950 he enlisted in the Air Force. He went to officer’s candidate school and was commissioned as a second lieutenant. He attended flight training school and served in Iwo Jima as the base executive officer until he received an honorable discharge in the fall of 1953. In 1954 Jim and his new bride, Hilly (whom he met in a duck blind) moved to Bismarck, N.D., at the height of the oil wildcatting era. He proved to be a master negotiator of land mineral rights, and was instrumental in the acquisition and sale of mineral rights on 100,000 acres of land to Socony-Vacuum Oil, which later became Mobil Oil. The business still manages mineral and extraction rights in 13 counties in North Dakota, two Canadian provinces and maintains production agreements with 16 oil companies. Jim attended Wharton Business School at the University of Pennsylvania and graduated in 1968 with an MBA in finance. He went on to form Venture Securities investment fund in 1969, which was distinguished as one of the top performing mutual funds in the country. Subsequently he became the investment manager of $100,000,000+ investment fund in 1971 and ran it profitably through the early 1990s. Jim will be fondly remembered for his great skill and passion for flyfishing, golf, storytelling, and general gamesmanship. He was a generous friend and benefactor to numerous causes he was passionate about; the Egypt Mills Fishing Club in the Poconos of Pennsylvania was one of his beloved spots. He was instrumental in the yearly stocking of the Delco Anglers trout stream. In recent years he gifted a large collection of Scrimshaw to The Carnegie, part of the Vineyard Trust in Edgartown. 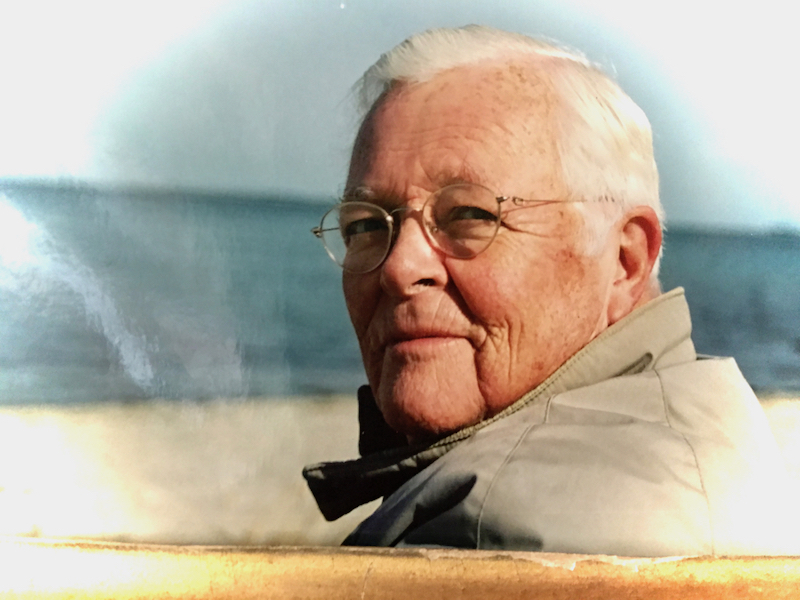 His generosity also found grateful Vineyard beneficiaries at the Polly Hill Arboretum, the Flying Horses Carousel,” and Hilly’s Garden in Edgartown, where he and his beloved wife enjoyed heart-filled happy decades together. All who knew Jim cherished his gift in spinning a great yarn; he was a masterful raconteur. He will be missed by family and extended family and fondly remembered as a great friend who gave himself to so many. His wife Hilary Hoover Luther preceded him in death in 1996. He is survived by his sister Johanna Snyder; three sons, Jim Luther of Hollis, N.H., Gray Luther of Leesburg, Va., and John Luther of Hull; six grandchildren and two great-grandchildren. A memorial service will be held at Beaumont in Bryn Mawr, Pa., at 2 p.m. on Saturday, Feb. 9. A reception will follow. In lieu of flowers memorial donations can be made to The Vineyard Trust, P.O. Box 5277, Edgartown, MA 02539. Condolences can be left on C. James Luther’s online guest book at https://www.stretchfuneralhome.com/obituary/?preview=1&id=1833247. Our deepest condolences. What a great friend. See you Sat. Jim was a great friend who preceded me as treasurer of the Vineyard Trust. We served during perilous times for the Trust and welcomed the saving efforts of Chris Scott. Save me a place Jim.